There are many good reasons you should be using cloud-based Google Docs rather than application-based word processing apps like Microsoft Word. 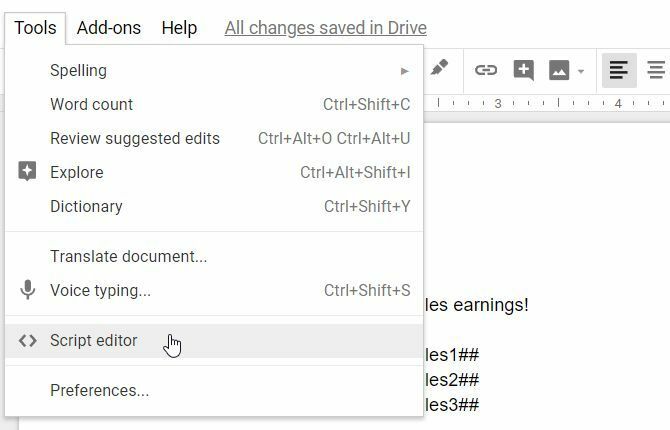 One of the most important is that you can create some very useful automations using powerful Google Scripts. To create your script, click on the Tools menu item, and click on Script editor. In the editor window, delete the code that’s there and replace it with the following script. 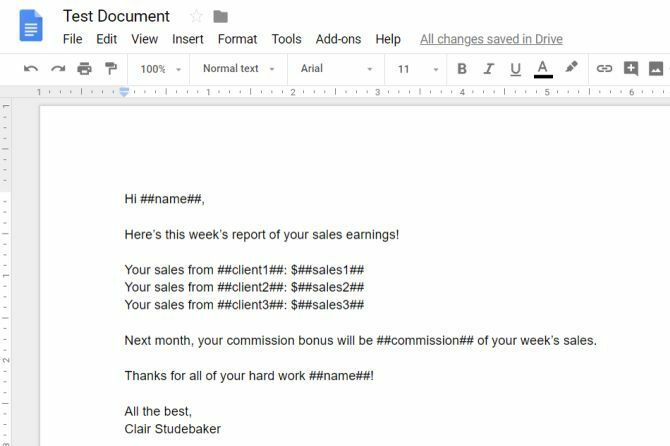 This script will call up prompts when the document opens, create a new document with the name of the sales person and today’s date in the title. Then it’ll fill in the template fields with the information you’ve entered.